Looking for a great deal on a pre-owned motorsport vehicle? Look no further! Not only do we specialize in selling new and used Indian Motorcycles, we also take in fantastic trades! But don’t hesitate, our used motorcycle inventory moves fast. 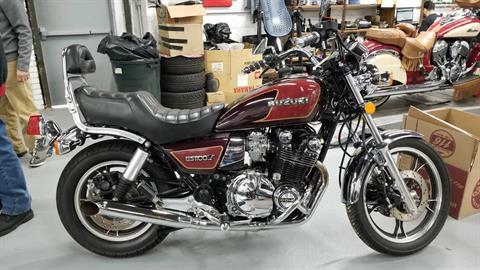 In addition to Indian motorcycles we sell used Harley-Davidson, Suzuki, Victory, Can-Am, Honda, Kawasaki, & Yamaha motorcycles for sale so stop in, call 516-248-5555 or contact us to see what we have in-stock! Financing is available for most of our used motorcycles for sale at our dealership. We also offer a onsite service department as well as the ability to shop for accessories, t-shirts & more through our online catalog. You can be assured that our 52 years of experience in sales and service of motorcycles in New York will give you confidence that the used Indian, Harley, Yamaha, Suzuki, Kawasaki motorcycles we have for sale have been inspected by our experience service department. Many of our used motorcycles have existing manufacturer warranties and we also offer optional motrcycle warranties on most models. Motorcycle demo rides are avaialble for many of the used motorcycles we sell. We also offer competitive motorcycle financing on most of our used motorcycle for sale.